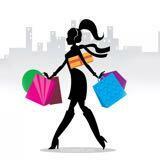 Shipping available CAN & US at extra cost. No returns or exchanges. MU: Brampton, Mississauga, Etobicoke (weekdays only). Other areas negotiable. 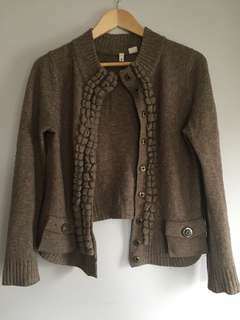 Preowned Moth Urban Outfitters sweater size M in good condition (some fabric pilling). 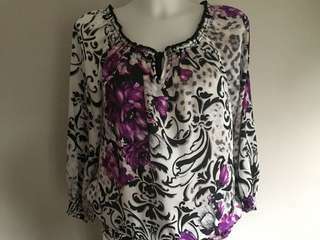 Preowned White House Black Market blouse size S in excellent condition. 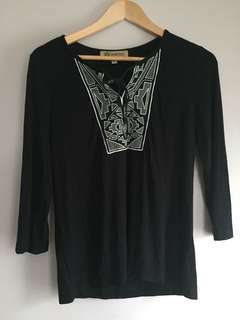 Democracy embroidered 3/4 knit top size S 3/4 sleeve keyhole stretch in excellent condition. 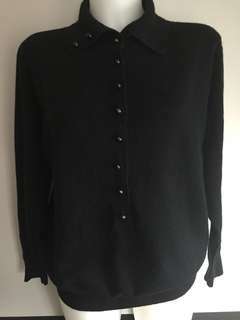 Preowned Democracy embroidered 3/4 knit top size S 3/4 sleeve keyhole stretch in excellent condition. 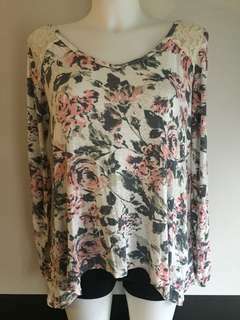 Preowned Abercrombie & Fitch floral open back top women’s size S in excellent condition. Good condition- dark discolouration on left sleeve where tag removed (3rd photo). Interior tag with washing instructions & materials also removed. NWT MaxMara Studio asymmetrical dress women’s size 6 MRSP $825. This dress is new but has some defects. Small mark on front of dress. 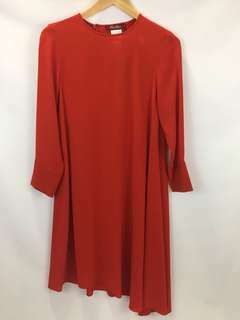 Small pull on bottom front & back of dress. Reasonable offers accepted. 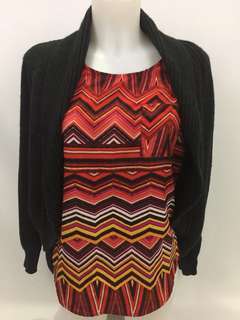 Preowned Talula Open Sweater women’s size XS in fair condition. There is some lint build up around sleeve (photographed) and fabric pilling. Shirt shown in first photograph is not included. 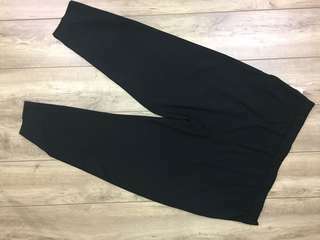 NWT Jules & Leopold black pull on dress pants women’s size XL. 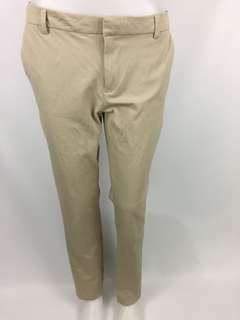 Preowned Lauren Ralph Lauren 100% wool pants women’s size 12P in good condition. 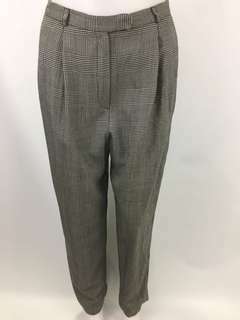 The button on inside of pants is loose and a couple tears on interior lining of pants as photographed. 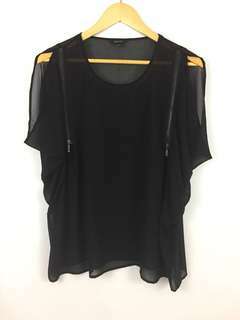 Preowned RW&CO sheer black dress shirt women’s size M in excellent condition. 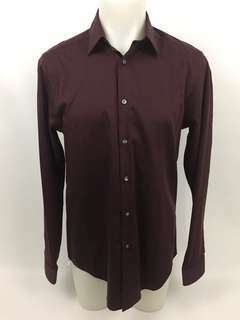 Preowned Calvin Klein slim fit shirt men’s size 15.5 in excellent condition. 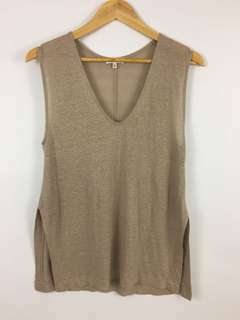 Preowned Babaton with linen sleeveless top women’s size XXS in excellent condition. 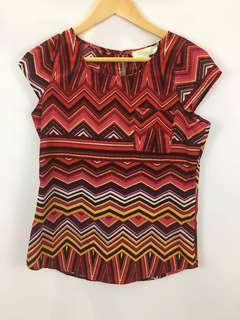 Preowned Olive & Oak 100% polyester red printed cap sleeve blouse women’s size XS in excellent condition. 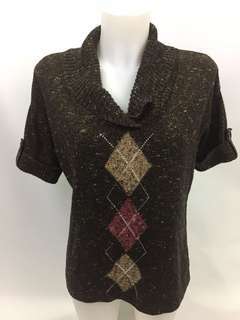 Preowned Christopher & Banks short sleeve cowl neck sweater women’s size S in excellent condition. 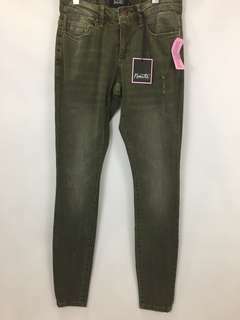 NWT Nanette Lenore Nikita Skinny Pants womens size 2.